“He’s really sweet…he was one of 20 extras. It’s a surreal thing to be talking about because I haven’t even confirmed with him that we’re officially seeing each other,” the 22-year-old “Stay With Me” singer told The Sun, via Towleroad. 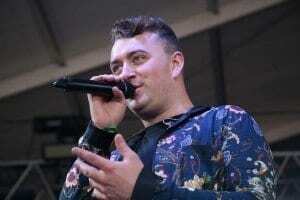 Smith has had a successful year with six Grammy nominations, one of each in four major categories in addition to his debut album, In The Lonely Hour being certified platinum and two incredibly successful singles, “Stay With Me” and “I’m Not The Only One,” which have been dominating the charts. Following his successful year, Smith will be embarking on his first-ever headlining tour in the new year that will span 16 cities in the United States and Canada. The tour kicks off on Jan. 9 at Fox Theatre in Atlanta, Georgia. The tour includes headlining shows at the iconic Madison Square Garden in New York City as well as The Forum in Los Angeles prior to wrapping up at Rogers Arena in Vancouver on Feb. 4. For more information regarding tickets and tour dates click here. I just want to say I am just new to blogging and site-building and truly savored your web-site. Probably I’m likely to bookmark your blog post . You really have amazing articles. With thanks for revealing your blog site.